At Milford Woods, there’s no place like home! 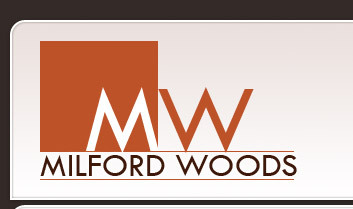 Milford Woods is a Swim & Tennis community in Cobb County, GA. Homeowners enjoy two lighted tennis courts, a family swimming pool and a children’s playground in our common areas. 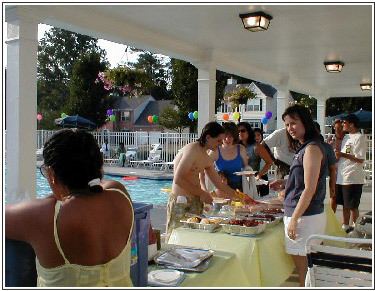 The community sponsors a host of social events for children, families and adults throughout the year. There is ample opportunity for our residents to participate in the community through one of our committees: activities, architectural review, communications or common grounds. Milford Woods is a sidewalk community where it is common to see families out in the evening taking long walks with their children or pets. There is always activity around the tennis courts and playground. When not at home, our residents enjoy an abundance of shopping, entertainment, fitness facilities and restaurants in the local area. The opening and expansion of the East-West Connector has been a boom for business and a plus for residents looking for local work, restaurants and shopping. For those looking for outdoor activity, Milford Woods location is simply perfect. We are just minutes from the new Silver Comet Trail, which provides a route for biking, skating, running or walking for miles and miles (all the way to the Alabama border when completed). We are also less than half hour from Kennesaw Mountain, numerous other State Parks and just minutes from Marietta Square and several world class golf courses. Milford Woods began development in the mid 1990s and is now a community of 242 homes ranging in price from the mid to upper $100s. Lots range in size from 1/3 to ½ acre wooded lots. The homes were built by Torrey Homes Inc. (now Dr. Horton/Torrey) a well respected builder in the Atlanta area. We are located just 5 minutes from the East-West Connector and about 7 miles from I-75 and I-285. If you are interested in purchasing a home in Milford Woods, please see Homes for Sale or Realtors under the Classified Ads section of this web site. Come explore the public portion of our web site - we'd love to have you as a neighbor! If you are a resident of Milford Woods and you would like to recieve a login to the resident-only portion of this web site, please fill-out a REQUEST FOR LOGIN form from the eForms feature on the menu to the left.